The Morzine Rumour Mill has been working overtime for the last couple of years concerning a new super-fast-super-high-tech cable car connecting central Morzine to Avoriaz. Well at Tasty HQ we have the pleasure in confirming that financing has been confirmed and the lift is going ahead! The project is expected to be finished ready for the winter season 2018/19. It is a few years off but the news well and truly confirms Morzine as the No.1 resort in the northern Alps for the foreseeable future. We can also confirm that the lift will start about 200 metres from our very own The Grange in the centre of town. 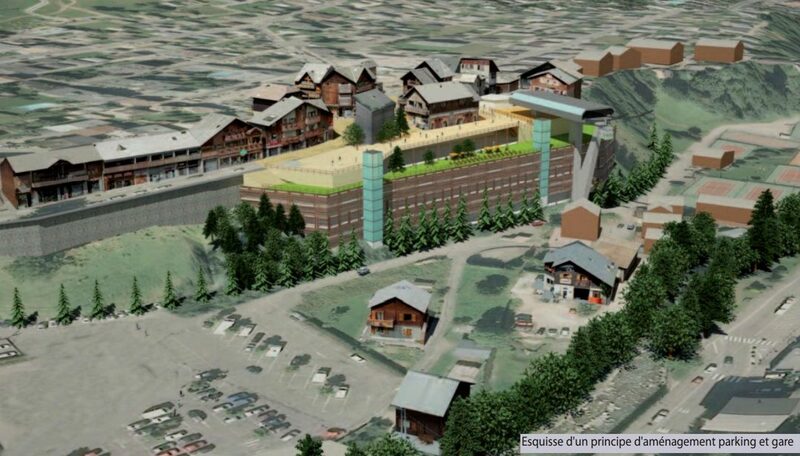 The new lift will connect with the Prodains cable car taking you straight up to Avoriaz from the centre of Morzine. The total journey will take about 15 minutes and will greatly improve the speed and ease at which you can get to Avoriaz from Morzine. A huge underground car park in the centre of Morzine is to be built in conjunction with the cable car. This will massively reduce congestion in the centre of town and is a step in the right direction for the town’s long term plan to make central Morzine car free. Check out the below video for a virtual tour of the project! Skip to 5 min 40 to see the route that it takes.